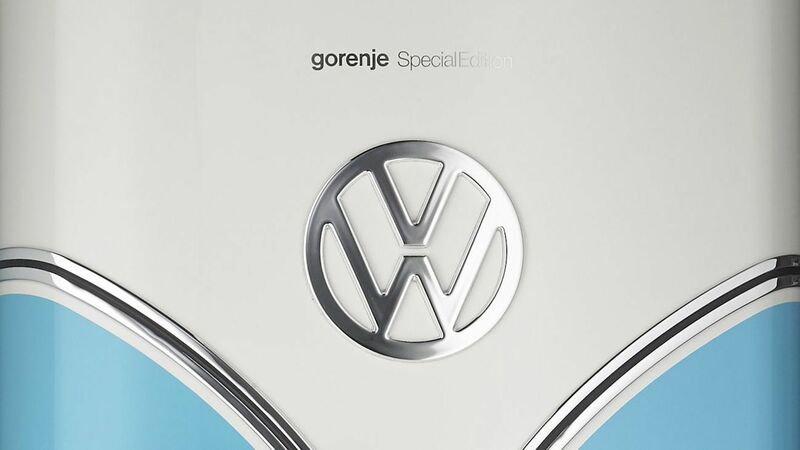 Add some vintage flair to the best room in the house with the Gorenje Retro Freestanding Refrigerator, complete with a VW emblem. 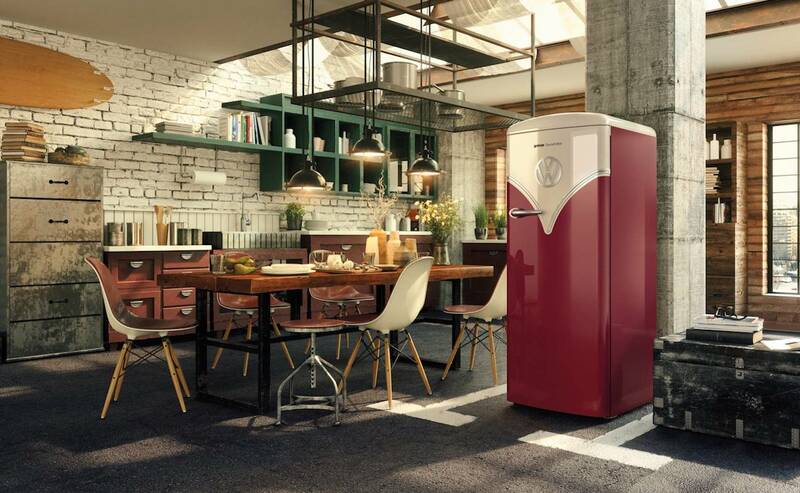 Add some vintage flair to the best room in the house with the Gorenje Retro Freestanding Refrigerator. This adorable cooling unit is designed to stand on its own in your kitchen. 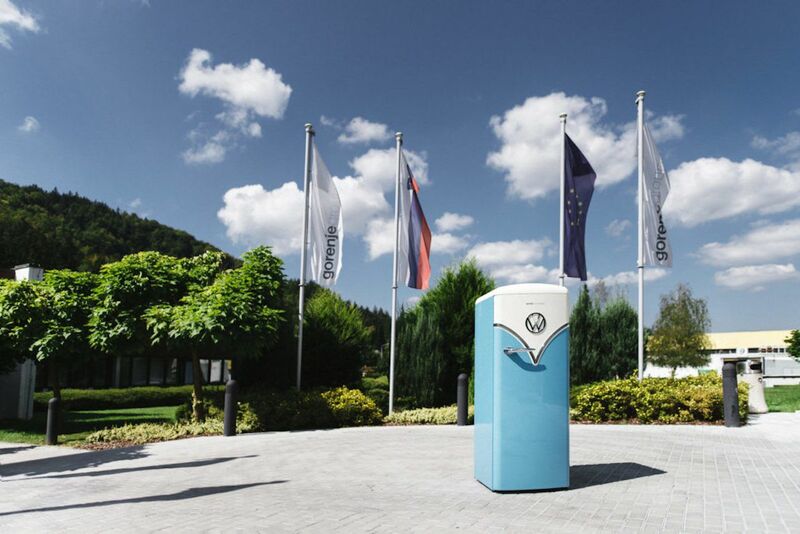 Complete with a single door, the Freestanding Refrigerator has a hefty 260L of storage space. 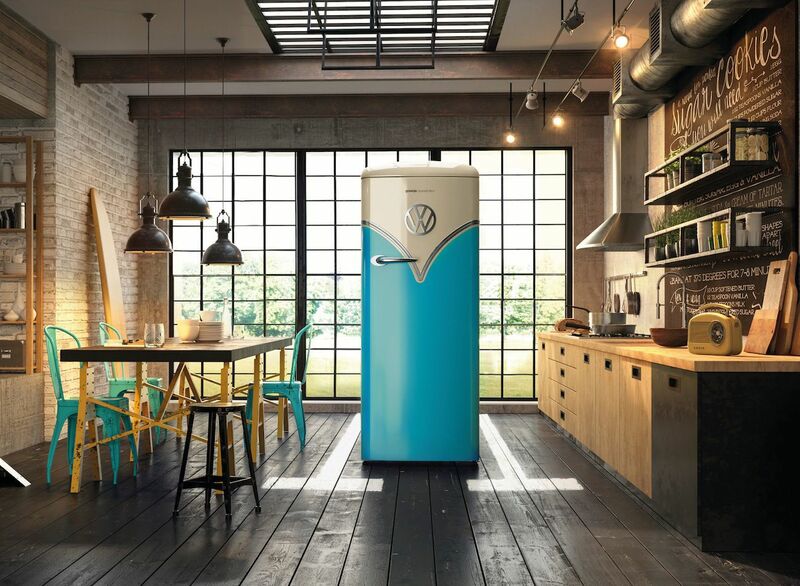 With a variety of color options, the style that stands out the most is the superbly retro VW model. 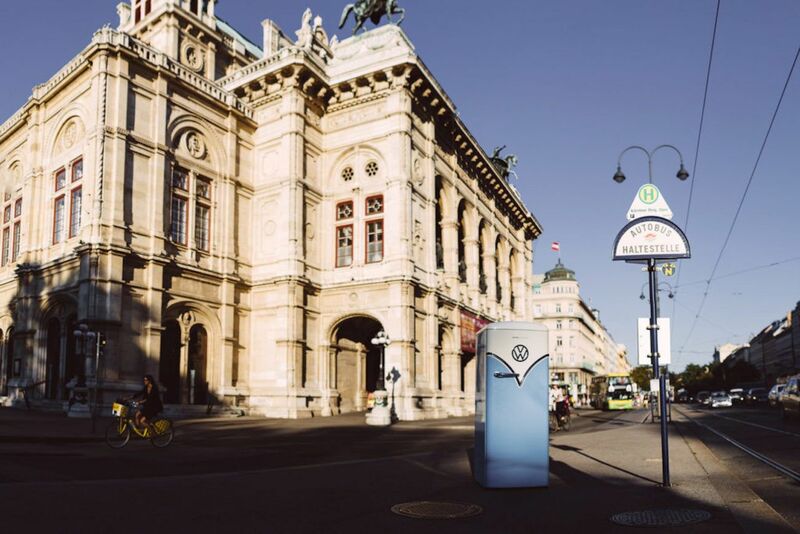 This edition of the Freestanding Refrigerator features the classic VW car design. It comes in a vibrant blue and the classic VW cream. Near the top and at the center is the iconic automobile logo. The entire unit achieves an A+++ energy rating. 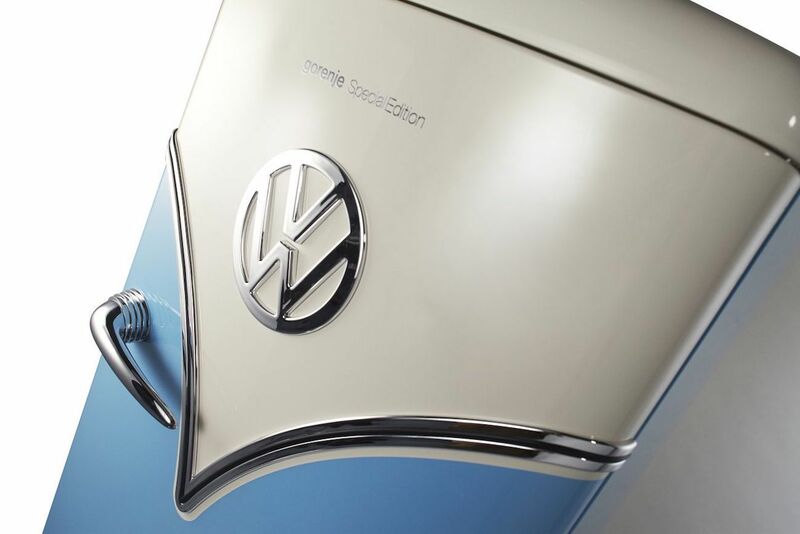 The Freestanding Refrigerator is finished with chrome accents to match any interior.